The overall goal is to decrease energy usage. Google & Microsoft solved a data problem with their belief that people naturally want to conserve energy but are prevented from doing so by a lack of insight. Their failure disproves their hypothesis. oPower solved both a context and motivation problem using both descriptive and injunctive norms. oPower partnered with public utility companies to present via monthly bills a comparison of recent historical energy consumption with nearest two or three neighbors. Because individuals measure their own behavior against their perception of peer norms, consumption data in context with neighbors or peers can change behaviors. This is an example of a descriptive social norm. Those consuming greater energy than their neighbors began to conserve energy. But as is common with descriptive norms, it had a boomerang effect on those consuming less energy that subsequently relaxed conservation efforts and quickly climbed to the average. oPower added an injunctive norm wherein they added a smiley (☺) or frowney (☹) face to the descriptive comparisons, representing approval or disapproval of their positioning relative to their neighbors. The addition of this judgment is a form of operant conditioning, which is a powerful driver of behavior. What other applications of these principles have you found? Has social media grown up enough to prove its own value? This past March was published one of the very first quantitative analyses that I'm aware of that correlated the effect of customer engagement via social media with the firm's bottom line. In the article entitled, “The Effect of Customers' Social Media Participation on Customer Visit Frequency and Profitability: An Empirical Investigation", academics examined the effect of customers' participation in a firm's social media efforts and found that social media engagement resulted in not only a stronger bond between the brand and the customers, but also discovered that engaged customers visited the store 5.2% more often and generated 5.6% greater revenue than the control group with similar shopping history, identified before the social media effort began. As well, engaged customers as measured by frequency of posting had a stronger preference for premium products and lower price sensitivity, making them more profitable than their non-engaged counterparts. Once upon a time, Netflix was an innovator and a giant slayer. They offered a great product, enormous selection and a unique delivery system for DVDs. By allowing customers to rent DVDs online and have them mailed to them, they put Blockbuster and video stores in general, out of business. Next, Netflix wowed customers by offering a selection of movies to stream online via the same account. No hidden fees, problems were addressed early and customers were loyal and excited about the product. They were once a company that “got it right” with their customers, but in the last three months, they have managed to squash 7 years of good will with some bad decisions that were poorly executed by the company. I do a great deal of writing about companies and Chief Customer Officers that get it right, creating superb customer experiences that drive loyalty which in turn drives revenue and profits. While this can be instructive on how to be successful, sometimes it’s better to know what NOT to do to avoid complete and utter catastrophe. Netflix is a study in both extremes, and whether or not it survives its own blunders time may only tell. Early last summer Netflix announced a price increase…not just any price increase, but one that raised rates as much as 60% depending on the plan a customer was subscribed to. The reaction was immediate and pervasive. Angry customers blogged, tweeted, Facebooked and used every communication vehicle they could find to voice their disgust. Netflix was silent. After a short period of being ignored, the customers did what dissatisfied customers always do: they voted with their feet and left Netflix in droves. Still Netflix did nothing. Customers are never fans of unjustified price increases. Netflix showed a complete disregard for their customer base when increasing the price of the service without a justifiable increase in value. Price increases of this magnitude force customers to reevaluate decisions that used to be automatic. They used to happily pay their bill every month and now they were determining if it was worth the price. Many decided it was not. Months later, CEO Reed Hastings came out with an apology, but it was several months overdue and it included a new bombshell: instead of the traditional online and DVD service found in the same convenient site, he was splitting the company into two entities. Netflix would only stream video and Qwikster would continue in the spirit of Netflix’s original intent of DVD rentals. Neither site will communicate with each other, so you will have to have separate queues for your movies and your credit card will be charged twice by two different companies. Wait…what? So, he is sorry for the price hike, but the price hike remains AND he is taking the most convenient part of his service and making it considerably more complicated? How does this make things right for the customer? Does this sound like a company that cares about customers? Companies are in business to create value for customers. The price they charge is derived from the value provided. When the value erodes, the price can’t be expected to remain the same or even increase without a backlash. 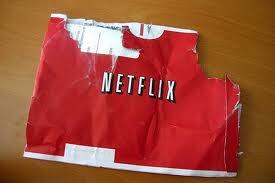 In 3 months, Netflix managed to destroy their service value and instituted a price increase. Netflix is paying for these blunders both in a dropping stock price and in reduced Wall Street guidance as they lower customer acquisition expectations for Q4. Where is the customer in all of this? Leaving, but it doesn’t have to be that way. Netflix could institute some changes to quickly bring departed customers back and save face with current disgruntled customers. How? By taking it all back. Clearly, they have a strategic direction to split the company into two entities so they can pursue different customer segments. Not all people who stream videos also watch DVDs and vice versa. However, they can make the two services talk to each other to maintain consistent history, ratings, and recommendations. They could also go back to a single charge for those who use both services. Small changes, but they reflect the biggest issues customers have with splitting the services up. The largest gesture Netflix can make is to own their pricing miscalculation. Reed Hastings belatedly apologized for the mistake and admitted it was quite a gaff, but he didn’t make it right. Take action and correct the pricing scheme. Grandfather current customers and make it an offer to those that left that they can return for their pre-June pricing plans. It would energize the customer base, regain a percentage of lost customers and it would be a positive PR boost to a company that desperately needs one. Will Netflix do this? Sadly, no. They have stated publicly that they won’t recover the customers they lost. Instead, they are rolling out announcements regarding new content agreements to justify their price hike. This just increases the customer disconnect and will make them only too happy to jump on a number of very promising competing services such as Amazon and Apple that have gladly stepped into the breech. John Woods said “The purpose of a business is to create a mutually beneficial relationship between itself and those that it serves. When it does that well, it will be around tomorrow to do it some more.” Will Netflix be around tomorrow? It is too early to tell. However the prognosis is not good.